Adan is a Syrian Kurd, his city Kobani was under siege by heavily armed ISIS. My name is Adan. I am Kurdish from Kobani, in Syria. I grew up in a Kurdish family. The Kurdish culture and language is banned in Syria and Turkey, so we learn Kurdish dance, Kurdish music and Kurdish language in secret. Just growing up being Kurdish made me political. You feel the discrimination. I watched the continual arrests in my area of many people, including my cousins many times. How did you escape Syria? Kobani the city that was almost destroyed by ISIS, after they stole all the weapons from the Iraqi army, is right on the Turkish border. I walked across the border, about 2 kilometres, trying to reach the nearest village on the Turkish side. Guards saw me and chased me, so I ran and managed to hide. When they went I got to the village and from there managed to get to Suruc, take a 16 hour bus journey to Istanbul. My cousin was working in a restaurant there. 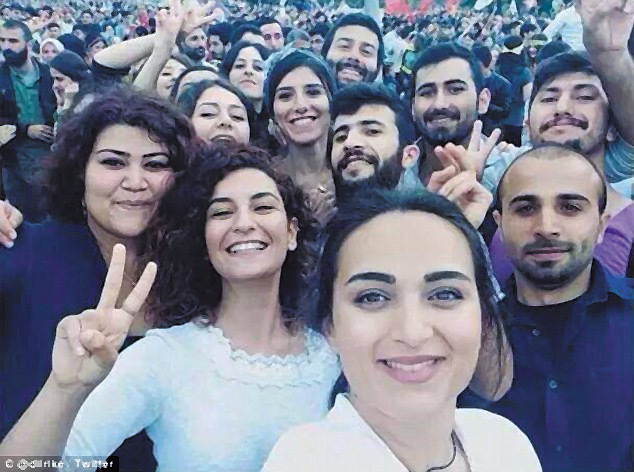 All the young people from my area, Rojava, ran away from the war to Istanbul. They pay a lot more wages in Istanbul, much more than Syria. The daily wage is like 60 lire (£15). In other cities you get 30 lire. I got to Suruc first. This was the area in 1916 that they cut the border, separated the countries, so Kobani (Syria) was separated from Suruc (Turkey). Suruc was where ISIS blew up hundreds of students last year, killing thirty who were heading to Kobani as part of a rebuilding project. They were a mixture of Turks and Kurds and other groups. They came down from Istanbul with all the equipment to build a school. The students tried to go through the border first in the morning. But they were met by the Turkish soldiers and the commander, who refused them access, said “Come back, and I will send all of you to heaven”. They marched back to Suruc and held a protest, and within ten minutes of the demonstration, a suicide bomber walked amongst them. If they had been allowed to cross into Syria this wouldn’t have happened. It is well known now that the Turkish authorities were supplying ISIS with weapons and were also encouraging ISIS to attack the Kurds. Did you witness any of this? I carried him to the hospital to try and save him, but the doctors said he was already dead. That is the worse thing I’ve seen. I’ve seen many other things, including many injured people, but carrying my dying friend was the worst thing. Everyone knows the only way ISIS can come through Syria is through Turkey. They cannot come through Lebanon, because Hezbollah controls the borders, or the Syrian forces. They may be able to slip in one or two, but not the numbers that came through to attack Kobani. They used to come from Telabi, until the YPG (People’s Protection Units) took this area. And once YPG took this area, Erdogan, the Turkish Prime Minister, started saying we will not tolerate YPG advancing in this area. He ignored it for two years when ISIS controlled Telabi, but when YPG took it from them, within two days he was saying, ‘We won’t allow a terrorist organization like YPG, backed up by PKK (Kurdish Workers’ Party), to take control of Telabi’. You will see the same tactics in the ways that ISIS attacked the Kurds and the towns and cities, it’s exactly the same way Turkey attacks the Kurdish areas in Turkey and in northern Kurdistan. 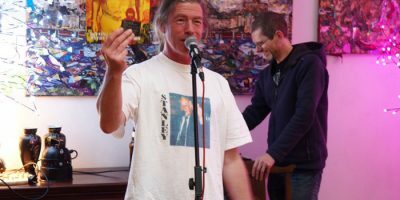 What did you do after the attack on the Kurdish Centre? I left after that. I couldn’t go back to Aleppo, where I’d been studying, prior to the war. I went back up to Istanbul and stayed for a couple of months there, I was with my best friend (I call him my brother). I didn’t feel good being in Istanbul, whilst a battle was going on in Kobani. My friend felt the same and he went back down to Kobani to fight ISIS. He joined the YPG, and on one mission he had killed five members of ISIS. But he was warned by his comrades to move. That if he had stayed in the same position too long it was dangerous. But he had his eye on one particular ISIS guy and tried to shoot him, but was killed himself. He stood up to shoot him but was shot first, right through the neck. He was my best friend. I was so upset I wanted to go out and kill all the ISIS. But my friends kept me in a room for four days and wouldn’t let me leave. They don’t really want people who go wild like that. Plus I was not well enough, I had had a serious stomach operation, and had also had my appendix removed. It was a terrible time for me. Then I met another friend, who told me about his friend who had gone to Europe. I never wanted to go to Europe, it never appealed to me. If anywhere I planned to go to the Ukraine, my brother was there, I knew nothing about UK, in fact I wasn’t interested in Europe. I still wanted to go and fight but they wouldn’t let me. During my time in Istanbul I was approached by many traffickers. In April 2015 I made my plan to go to the UK. People tell me it’s really stressful, but I travelled by plane from Istanbul. I arrived in London. I went into the queue, which said Non-EU, and just showed them my Syrian ID. They took me away, fingerprinted me. They kept me for about three days. Then they took me to a church and said we are going to take you to Liverpool. They took me to a number of places where there were many asylum seekers. Here in the UK the refugee situation is not good. I mean you have people coming from war, who have seen and experienced terrible things, women who have been raped, seen all their family killed and they have just arrived here, are treated like criminals and they have no support for people. Most Syrians go to Germany. They keep hearing Great Britain ‘is great’, ‘they support you’, ‘teach you English’, etc. But in Germany they get a lot more support. When they give you your Refugee papers in Britain (leave to remain) they just tell you to ‘go’. But you don’t know anything, any type of support is gone. They say ‘Go and find a job’, ‘go and find accommodation’, etc . Can you imagine, you don’t speak the language, you are traumatized. I was twenty-years-old. They sent me to the Jobcentre. They don’t know how to help you. Refugees need a lot of support. Yes, they have the status, but they don’t know the ways. They just say ‘Go here’, but there is no-one there to help you with forms or the language, etc. I was lucky, I suppose, because I knew Kurdish guys, and they helped me get a job. Because I came from war, I got status in 29 days. But I have a friend here who has been waiting for six years. He can’t work, can’t plan his future, and always afraid he might get sent back. I was involved in politics in Syria and music, so I already had people to connect to here. I met a lot of Kurdish people who don’t want to be involved in politics. But being Kurdish means you are political. In September 2015 I went on a demonstration in Liverpool. I knew the organizers. So this was good. I knew a few of them, so this was also good. We did a number of demonstrations and charity fundraisers. What is the situation in Rojava at the moment? In Rojava now they are discussing a federal system in the whole of Syria, not just Rojava. The Syrian Government of Assad and the opposition say the Kurdish people want separation. This is not true anymore, and we just want self-determination. We want a federal system. We want to control our towns and cities by ourselves. We have been living under dictators for centuries, in Iraq, Iran, Syria and Turkey, always oppressed and controlled by other people. Basically the system we propose is all about people having control of their own areas and regions, real democracy. It’s about equality – women and men are equal. In the military, in the civil society, women and men work together. We already run a system based on the ideas of Abdullah Ocalan. We call it democratic federalism, and we believe this is how the whole of the Middle East could work, and create real democracy between Arabs, Kurds and Christians. What happens in areas that the YPG have liberated, where someone wants to continue to practice their religion? Well the Sunni and Shia live separately at present. Basically in the society the Kurds have liberated everyone can still believe what they want, how can you change that? No-one is forced to believe something they don’t believe. For example everyone has a right to practice their religion like there is still Christians and Muslims. But everyone is living together. But how it changes is things like forced marriage, will not be allowed, men will not be allowed to have more than one wife. The Burka will be banned for girls under 18, if they chose to wear this after 18 then that should be their choice. For example if some one wants to try and marry more than one woman then they will be told to leave – they can go and live in Saudi Arabia because this is not allowed in our area, and actually most people believe these things should not be allowed, its just that the people who have the power, the men enforce these values. In Rojava we have been living this system up to a point since 2004 – advocating this system of equality between men and woman, so young people have been growing up with this. For example in my own home, I see this happening, this equality between woman and men. So the men were also doing the chores in the house. Things are changing; but it will take time. So the PYD are made up of many people, even religious people? They are made up of all different types of people. I have friends in there who are Muslim. Many are Sunni Muslim and they join PKK or the PYD. One of my cousins who is Sunni Muslim joined YPJ (womens section). They don’t discus their religion much. They just get involved. Many woman choose to join YPG. No-one is forced they join because they want to join. The PYD was formed in 2013 and tries their best to get people away from radical religion. So how is the system in Rojava now? 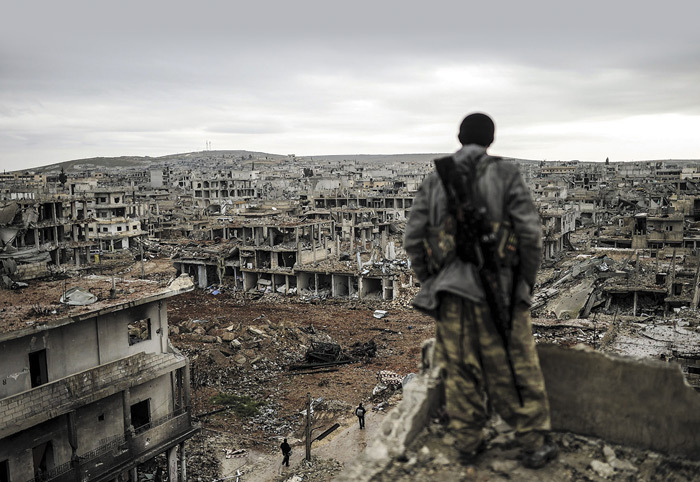 Well Kobani the main city was almost completely destroyed by ISIS. So the government is trying to get more support from grassroots groups in Europe. We are asking people to donate books, to come if they have skills that can use and help to rebuild the region. We are trying to develop universities again. We have more books now, but still need them, there is more teaching of Kurdish, because many Kurds cannot speak it. We have 1 university – in Afrin west of Rojava. Its not recognized as a University yet, but they have lectures, study and do everything universities do. All Rojava is controlled by YPG accept except Jarabulus this is controlled by Al Nusra Front, they get support from Turkey and Qatar and they are now attacking Afrin – both are on Turkish border. They are attacking people in Afrin they use chemicals weapons. What do YPG when they take back an area? If YPG take an area from ISIS. We would send in support from Kurdish Red Cresent., check people are ok, tend to the injured etc. YPG will stay to keep ISIS out and then try and train the locals to defend themselves. Both YPG and the womans units YPJ train men and woman in combat. So for example many of the woman in these areas have been raped by ISIS and now we have trained these woman to fight.. YPG are advancing, just now in Raqqa – the ISIS capital in Syria. What do you say about taking support from the USA? I suppose you would call an agent relationship, we are fighting ISIS in 2013. We were fighting against ISIS way before the USA got involved. Some people say USA are using the Kurds? As I said we’re already fighting ISIS a few years before the USA got involved. We did use USA air strikes to defend our area. The USA are giving weapons to the YPG – Turkey is trying to stop them. The USA are saying YPG is not linked to PKK, we have similar ideas – but we are not linked. Erodgen, The Turkish president is trying to use the ‘Terrorism’ card, trying to make out to the USA that by supporting the YPG they are supporting terrorism. Erodogen and his government are crazy about the Kurds. I believe all the wars against YPG and Kurds are either funded by the Turkish government or carried out by the Turkish government. They are wanting us to return to the Osmaniye times. I think Turkey are obsessed with the Kurds. They think if the Kurds take a space they will become a country. It will not make a difference, unlike those people who want to divide us. This is all a game, either a capitalist game or a socialist game. The Kurds are recreating a new system, its not communist and its not capitalism. So in the past it was for a Kurdistan? Its not like this. Wherever Kurdish people are we just want self determination, so for example for Arabs, they control there system, Kurdish people control their areas. If we created, for example a Kurdistan – everyone mixes, we should live in peace in a democratic system. We would control the resources under a federal system, not a state system. But our neighbors will not be able to marry 5 woman. You cannot force another human to do what you want them to do, against their will. And the YPG/YPJ forces are advancing all the time, every town, every village we are recruiting more woman, who are being liberated and educated and more men. Next Post: Roma or Gipsy?